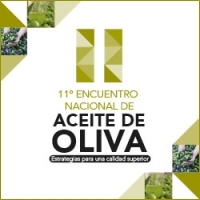 15th October 2013 – On 16th of October the “11° Encuentro Nacional de Aceite de Oliva“ will take place in Santiago, Chile. It is a conference that involves all the best realities of olive-growing and olive oil production of South America. During the conference the olive oil analysis system CDR OxiTester will be showcased by Claudio Vignoli, CDR export manager for Latin America, in the setting of the exposition area. The event consists of one day of lectures and meetings about chemical and sensorial analyses, trends and production factors, new techniques and innovations. All referred to the olive oil sector. The rapid expansion of the olive oil industry in South America and the great advantages that our instrument can assure for analysis and control, make appropriate more than ever the presence of CDR OxiTester at the meeting. In Chile olive oil production is increasing, and the cultivations and exportations are raising. The country presents a particular climate condition that facilitates olive-growing and it is naturally shielded from dangers such as Olive Fly. Moreover in the country there is great attention towards quality and process control. At the meeting Marino Uceda will be present as president of the jury of Oro Chile 2013 contest for the best Extra Virgin Olive Oil. He will award the winner during the prize-giving ceremony that will conclude the conference day. The whole event will take place at the Espacio Riesco, where experts and insiders will be able to discover more about CDR OxiTester. CDR OxiTester present at the National meeting of olive oil in Chile – 15th October 2013 was last modified: February 8th, 2019 by CDR s.r.l.